Track time and Physical Training! 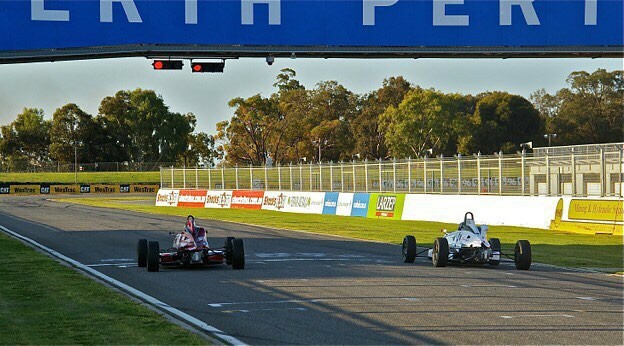 Earlier this week I was back on the track in amazing weather conditions to get in a good number of laps as we start preparations for the next round of the WA Formula Ford State Championship. It was great to be out there with a nice warm track, and to be able to punch out some good consistent lap times. The main focus of the session was consistency, and I was pleased with that, and also working on getting on the pace straight away, which also went pretty well. We even had the chance to practice a few starts again which was very valuable. Following the session we spent quite a while looking over the data, and also looking at some areas we could fine tune my actual position inside the car. Next week I’ll continue to work hard on my fitness at the fantastic Genesis Joondalup Gate Gym, before plenty of track time the week after in the lead up to the next race! ← Calan Williams August 23rd Race Meeting in Pictures! Like the photo – the Stig in negative! Good luck in the next race.